Making a Difference in Our Communities, OpenRoad with Doug McConnell, and Summer Family Fun! When Measure Q was passed by voters in 2014, the Open Space Authority made a bigger commitment to invest in nature within our communities, and so the Measure Q Urban Open Space and Environmental Education Grant Programs were created. In its first year, the Urban Open Space Grant Program awarded over $1.5 million in funding to 15 different organizations and the Authority was excited to see so many inspiring projects bringing nature to our neighborhoods. Now, a year later, those organizations are making a difference in our urban communities. Below are just two examples that underscore the benefits our grantees bring to our urban communities. 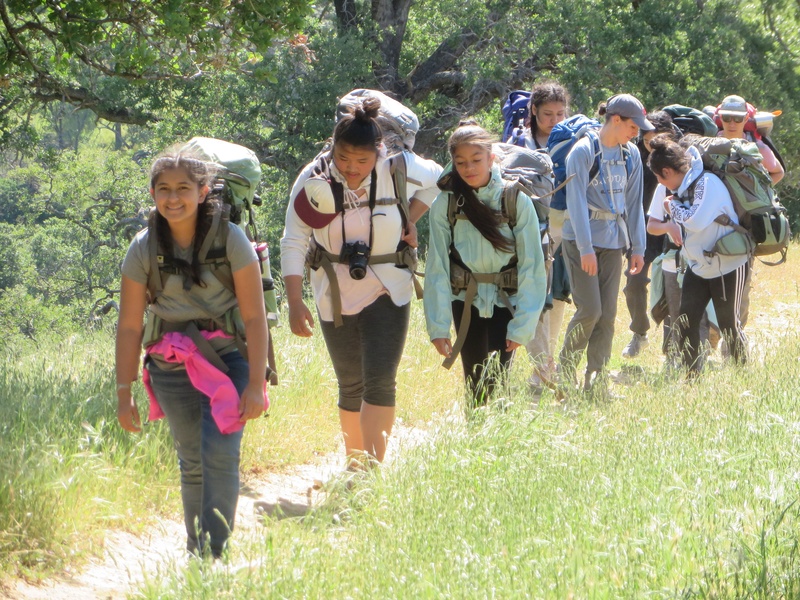 Bay Area Wilderness Training trains teachers on how to take underserved and at-risk youth outdoors. With their Measure Q grant, they were able to expand their programs into the South Bay, which also included a Gear Library where teachers can rent outdoor gear for free. Through this expansion, programs like Citizen Schools were able to take a local girls club, whose access to nature is limited, on an overnight camping trip for the first time. 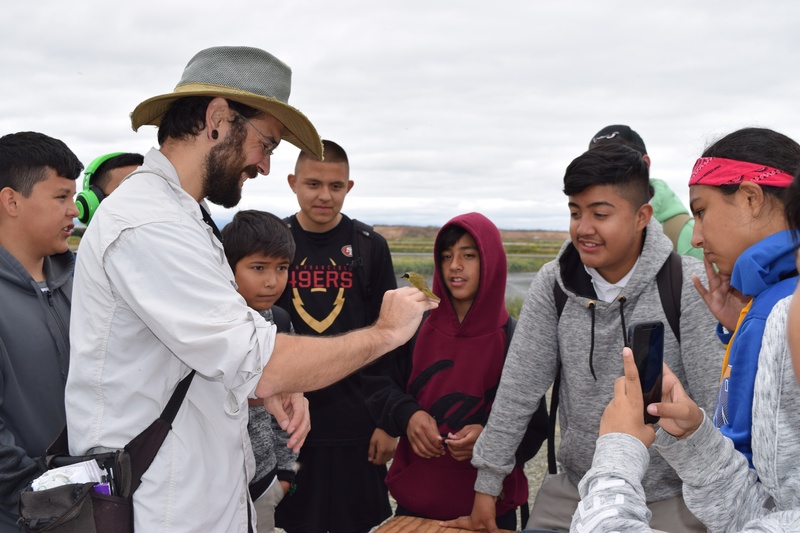 The San Francisco Bay Bird Observatory used their Measure Q grant to create an Environmental Education program for students from Windmill Springs Elementary and Sheppard Middle School about our local birds and how they track migration patterns through banding. The program includes a classroom and field learning experience where kids get to see the banding process up close right along the Coyote Creek. The schools and students were so thrilled with the experience that they plan to come back next year! The Fiscal Year 2017-2018 grant cycle for both the Measure Q Urban Open Space and Environmental Education Grant Programs just concluded with the Authority’s Board of Directors approving $491,647 of funding for 15 different grants. The projects and programs span across the Authority’s jurisdiction and focus on environmental restoration, parks and trail public access, and environmental education programs on nature’s health benefits, natural resources, and agriculture. The Authority looks forward to the impact these projects and programs will make in their communities over the coming year. Be sure to watch for our Urban Open Space Corner article series for updates on the progress and accomplishments of these projects. Tune in to channel 4 on June 24th for this special event as we continue to celebrate our 25th Anniversary Year on NBC Bay Area’s OpenRoad with Doug McConnell! 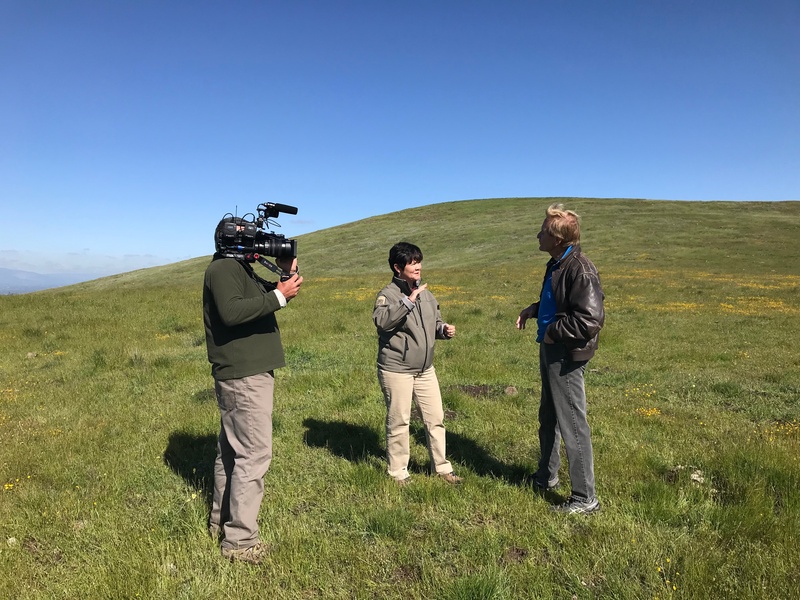 This weekly television show features the natural, historical, and cultural treasures of Northern California with a focus on protected lands. 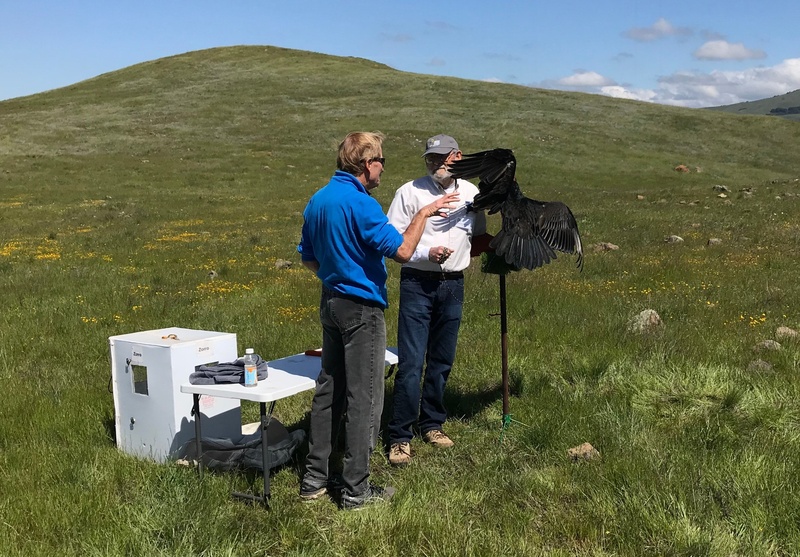 Join Doug as he visits us at Coyote Ridge Open Space Preserve for an environmental education program with Mathson Middle School students and Wildlife Education and Rehabilitation Center’s educational bird Zorro. We’ll learn about the agency’s history and where we’re headed next with big initiatives like the Coyote Valley Landscape Linkage. This episode will air on Sunday, June 24 at 6:30pm on NBC Bay Area. Find your channel here and mark your calendar or set your DVR to record! 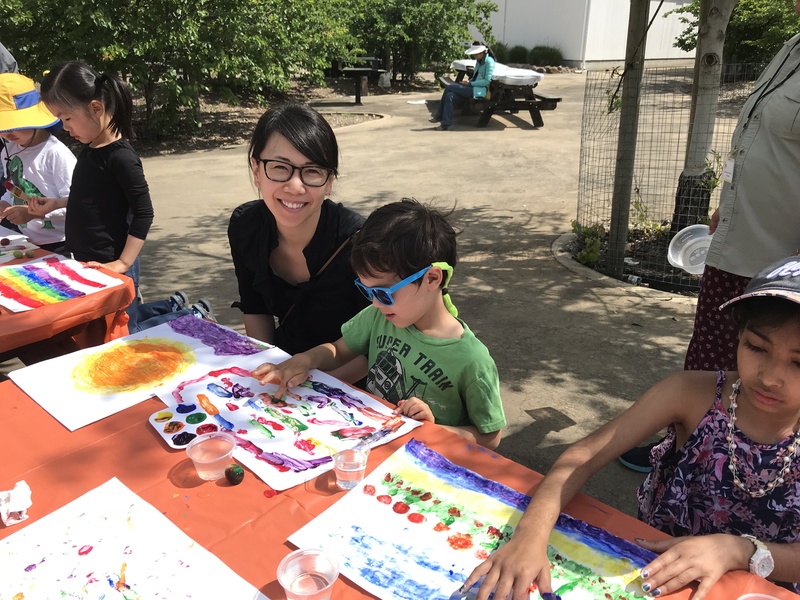 Finger painting scenes of nature – Plein Air Finger painting workshop on May 5, 2018 at Alviso Adobe Park, Milpitas. As part of our mission, we encourage people to connect with nature, and better yet – to bring their families. The Authority leads many community events in our local parks and open space preserves each month, many of which are kid-friendly and open to all ages. From nature walks, wildlife and stargazing demonstrations, arts and crafts, picnics, and more, providing opportunities for kids to get outside and explore nature are at the heart of the Authority’s summer programming. “Nature has so many benefits – for kids, especially!” Says the Educational Programs Coordinator, Teri Rogoway. “Kids are inundated by so much tech today, they don’t have the vital connection to nature that I had when I was young.” Rogoway cites some of the many health benefits of nature and outdoor activity – calming and relaxation, helping relieve and build resilience to stress, improving sleep, improving focus, and reducing the signs of ADHD. The Authority's Community Engagement Team is planning a fun filled list of programs for the 2018 summer season. Watch the event calendar and look out for our monthly event emails. You can check out a few of the planned events here. I live alone and am most active at night, so even though I’m big (up to 120 pounds!) you probably won’t ever spot me. I need large expanses of connected open spaces for hunting, water sources, and finding dens so the work the Open Space Authority does is incredibly valuable to me! This report helps the Authority spend Measure Q, voter-supported funds, in a way that best serves the community. It identifies barriers that prevent residents in our jurisdiction from going outdoors to enjoy nature and reap the health and other benefits. The report highlights six Deep Engagement Communities that face greater barriers to accessing parks and open space lands. The Authority uses the report to help prioritize outreach efforts and to ensure our funding is spent wisely and equitably. Read more here. Protecting open space isn’t just the right thing to do for the environment – it’s the right thing to do for our economy. 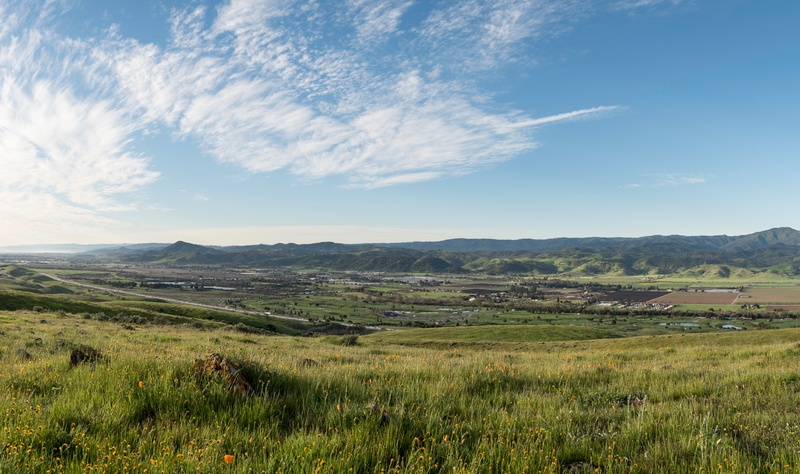 “Healthy Lands & Healthy Economies: Nature’s Value in Santa Clara County,” was the first ever valuation of the economic benefits that people get from Santa Clara County’s open space, natural areas, water resources, and working landscapes. The report determined that the asset value of Santa Clara County’s and working lands at between $162 and $386 billion. Clearly, we must protect these valuable assets that help keep our economy strong and our quality of life high here in the Santa Clara Valley. Learn more here. 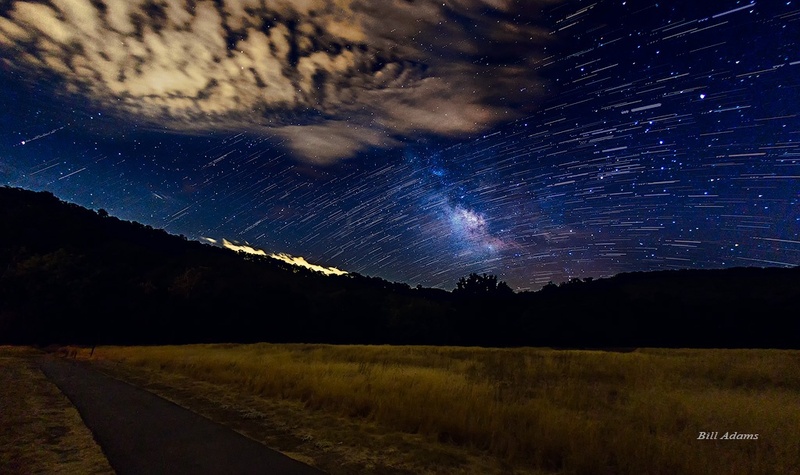 The 348-acre Coyote Valley Open Space Preserve provides year-round recreation while helping to achieve one of the Authority’s top priorities: to preserve the Coyote Valley, one of the top ten priority natural landscapes in Santa Clara County that are critically important to protect from development. This preserve was protected from development in 2010. 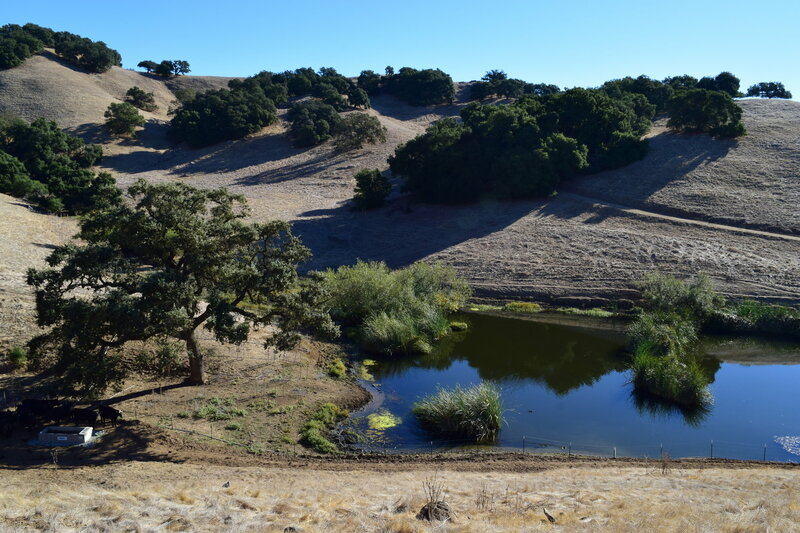 The Coyote Valley is where the Santa Cruz Mountains and the Diablo Range are closest, and the landscape is the most intact as a crossing point for wildlife, flood protection, and aquifer water recharge. Join Seasonal Educational Aide Richard as he takes us on behind the scenes tours of properties that are on their way to becoming open space preserves. This is a chance to discover and explore newly-protected open spaces with knowledgeable staff that will talk about the plants and wildlife found on these properties as well as the importance of ongoing agricultural operations on working lands. The Authority's Board of Directors recently honored Citizens' Advisory Committee (CAC) member Dave Poeschel for his 24 years of dedication and passionate service to the Authority. 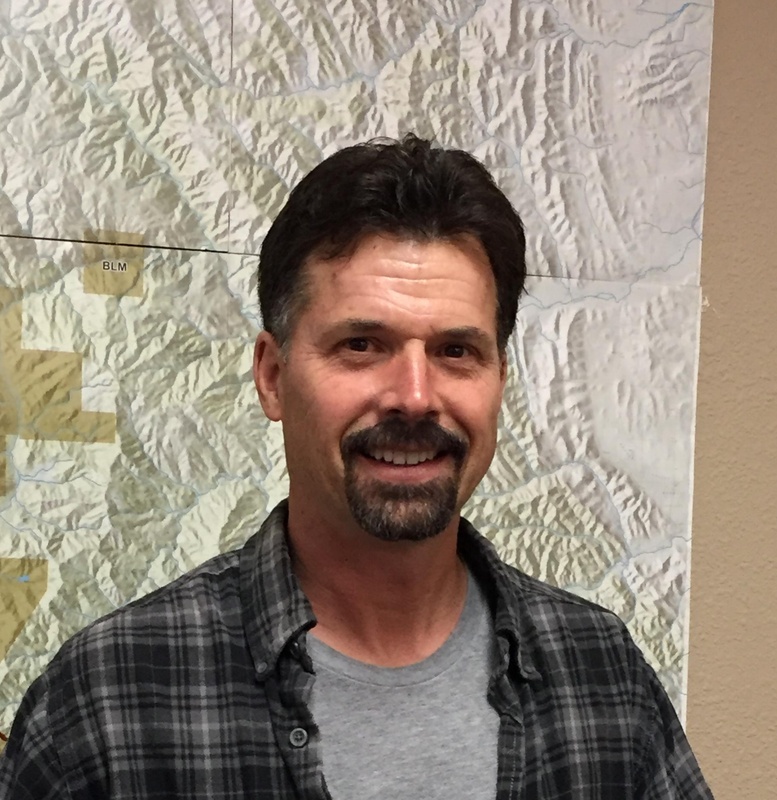 Dave was involved in the early planning to create the Authority, served as the Environmental Open Space representative, and will continue to be expert docent with the Authority. 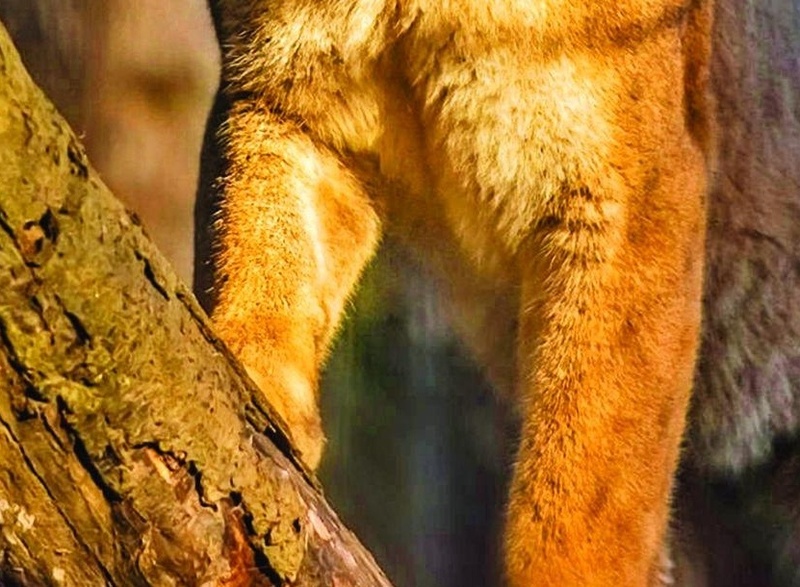 I’m the mountain lion, the top predator other than humans in the Santa Clara Valley. I primarily eat dear but also raccoons, birds, foxes, and mice. I try hard to avoid humans – and can climb up to 50 feet high in trees to do that– but it’s still best to keep away. 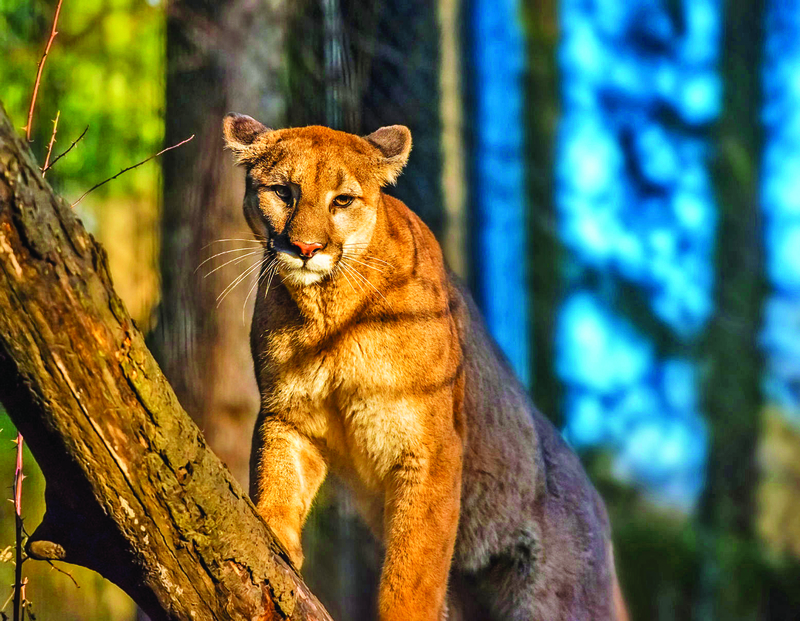 Mountain lion attacks on humans are extremely rare, but if you encounter one, look big and stay with others. If attacked, fight back and be loud. Do not try to run away.